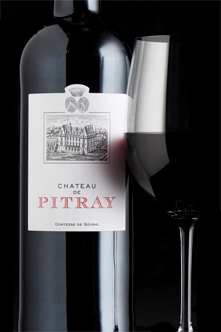 Chateau de Pitray '15... a fast moving commodity!? At 12pm today I get an email extolling the virtues of this new release, and mentioning the 1000+ cases the Society ships in each year. At 8pm it’s out of stock! As Private Eye would say, shurely shome mishtake? Or is it seriously that popular? Wow, that was quick…! I think it’s a popular claret, but I had no idea so many would have their fingers on the trigger for just one everyday wine among many hundreds of others. It’s nice stuff and I fancied a few bottles, but not that badly…! A plush, ripe and satisfying Pitray from one of the best vintages of recent years. Already tasting well. I had exactly the same experience! I have visions of someone cornering the market. My working presumption is that it’s on a staggered release. So sorry about this! I’ve just checked and you’re right - it is sold out. It absolutely flew off the shelves since we announced it as our second Buyers’ Wine of the Week on Monday. So you can still get a chance to try it, even if not in regular bottles. A lovely ripe vintage from Jean de Boigne at the superb Château de Pitray. 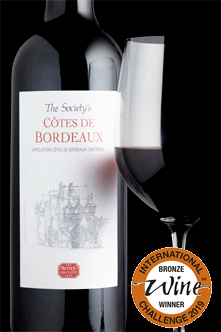 Round and satisfying, this is a Bordeaux of considerable character and depth of flavour. Same producer, same price, same abv, same drink dates - do you know how it differs @laura? Good spot! So Tim’s on hols this week so I won’t be able to get specifics, but I’ve just been told it’s not the same wine, but it’s only a slightly different blend, and very similar. Definitely worth trying if you’re interested…? ALSO for all you within-driving-distance folk, there’s apparently a few bottles left int he Showroom too! I think I’m very pleased not to live in driving distance of the showroom tbh. My bank balance is weeping as it is. Just as well I bought a case in the EP offer for 15 Bordeaux👍Although I am not sure how much I saved , except of course peace of mind given the rapid sell out. Thanks Laura, it’s nothing to apologise for, I would have quite liked a couple of bottles, but to be honest I’m pretty well stocked for claret anyway. It’s more that I wanted to know for sure if the membership had really hoovered up that sort of volume so quickly. Clearly we know a good thing when we see it… you snooze, you lose! I find it helps you avoid bankruptcy or divorce proceedings. helps you avoid bankruptcy or divorce proceedings. … Or divorce proceeding ending in bankruptcy!.. Ha! Who needs a marriage! Any idea this likely to come back in stock?